When people think of traditional Iran, they tend to imagine the bright blue skies and the diverse landscape that embody southern Iran. Stars Valley, as the natives call it a fallen star, is the most beautiful display of erosion in the vast island of Qeshm. There’s something about this valley that just scream magical .The residents believe that after the fall of the stars in this place and as a result of a heavy blow, the soil of the earth arose and dried and such forms emerged. Some people believe that when it gets dark, ghosts and goblins come to this place, but such a thing has not been proved true. 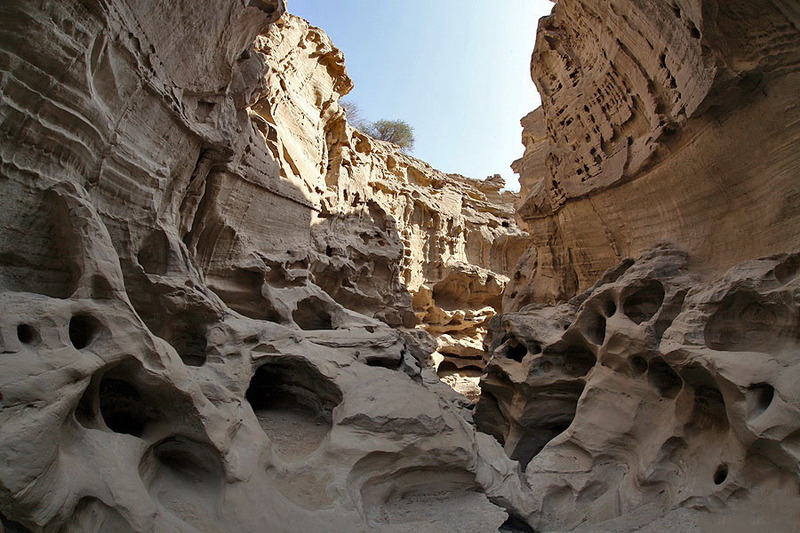 Located to the north of Berkeh-ye Khalaf village, only five km away from the southern edge of Qeshm Island in the Persian Gulf, the Stars Valley is one of the most-visited sites among all Geosites. What is clear is that the forms of valley were created by wind and rain erosion and seasonal storms which make the Stars Valley a notable example for geological studies. It should be mentioned that this valley is recorded as a part of the geo-park of Qeshm Island in UNESCO’s list. A visit to Stars Valley in a moonlit night has special attraction, especially at the moment of silence in everywhere, when the sky and the stars are felt particularly close to the ground.